This cereal is comprised of traditional Cheerios pieces, multi-grain Cheerios pieces, oat & quinoa clusters, puffed spelt and puffed Kamut wheat. For the most part, I enjoyed this cereal. The overriding flavor came from the good old, all-American, traditional Cheerios pieces. The oat and quinoa clusters added an occasional crunch. All of the added extra "Ancient Grains" lend much more to the texture of the cereal than to the taste. If this cereal has a failing, it's that the different components don't always seem to work together in individual bites. You get some soft puffed wheat textures mixed with crunchy clusters along with the middle-of-the-road texture of the Cheerios. Some people may find this fun. Others will find it annoying. The texture differences increase as the cereal softens in milk. The Cheerios soften as the clusters maintain their crunch. Cheerios + Ancient Grains does have 17 grams of whole grains per serving. Unfortunately, it still somehow has only 2 grams of beneficial dietary fiber per serving. It should be noted that of all Cheerios varieties offered today, original Cheerios has the greatest amount of whole grains per serving at 23 grams. Honey Nut Cheerios has the same amount of dietary fiber as this new cereal. In the end, this cereal is just alright. Almost every other variety of Cheerios offered today is a little bit better - including original Cheerios, Honey Nut Cheerios and the new Cheerios Protein cereals that were introduced last summer. If you're interested in incorporating "Ancient Grains" into your diet, there�s a 70/30 chance you'll like this cereal. If you're in it for the flavor, grab a different kind of Cheerios. Nutritional Considerations: Each 3/4 cup serving of Cheerios + Ancient Grains has 110 calories, 2 grams total fat (0.5 grams saturated and 0 grams trans), 0 mg cholesterol, 105 mg sodium, 22 grams total carbs, 2 grams dietary fiber, 5 grams sugar and 3 grams protein. 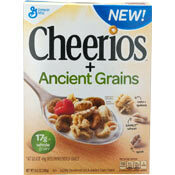 What do you think of Cheerios + Ancient Grains? 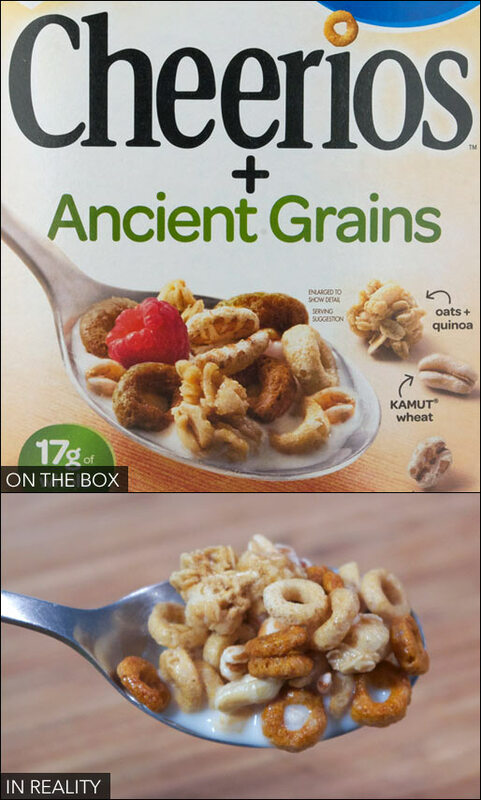 Upset that they discontinued the Banana Nut Cheerios, so I tried the Ancient Grains looking for a replacement. It seemed ok - dry but when I added milk it was awful. No taste and felt like mushy cardboard. I had to throw it out. Yuck. It was okay. It's not very sweet but I like the different textures. I won't struggle to eat the rest of the box, but considering there's no real increased health benefit, I probably won't buy it again. This tastes just right and is a great snack. Please keep this one around. It's the best cereal I've ever tasted. Just wonderful! Please, Cheerios, keep this one around - wow! Very good not too sweet just right. Will make it a regular item for my breakfast or late night cereal craving. Total sugar bomb. Deeply disappointed. By unlocking the power of ancient grains, General Mills is toying with forces it cannot understand or hope to control. Just finished my first box. I really liked it, which means I will likely never locate another one. I like it a LOT and will plan on buying it regularly if it sticks around! 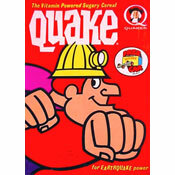 I don't know if it's just because I'm such a quinoa nut, but I really liked this cereal.